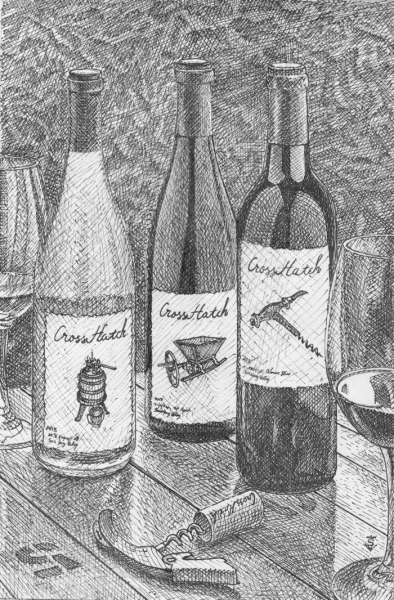 Join a CrossHatch wine club and enjoy our wines delivered directly to you. With our various options of size, number, and contents of shipments, you’ll certainly find the right fit! Wine club memberships also make fantastic gifts that continue to bring joy to family and friends. All shipments are available for pickup if you would rather stop by the tasting room in Solvang or the winery in Santa Barbara. Call us at (805) 691-9192 or email us and we’ll help you find the perfect selection. Shipping: The cost to ship is $15.00 per package. Shipments are sent via Fed Ex ground, and GSO and must be signed for by a person that is 21 years of age or older. If you choose to pick up your shipment, you will not incur this charge. If a shipment is sent back to us, we will charge $15 to reship. If we ship a club order that is marked for pickup, we will charge $15 for shipping.